I'm implementing a fit visualiser which uses an existing product that the user owns to estimate the matching size to select when buying something. The fit visualiser is is called "Virtusize". The client has suggested using their logo. However, using their logo is not required. I find their suggested logo to be visually unclear to the user when referencing a "fit visualizer". What would be the a visually clear way to represent "fit" in terms of apparel? I think representing the article of clothing as an indicator would work well. It's already what the user is shopping for, so I think it is clear that this would be used as a size indicator. You could express the right size for the user in 2 different ways. One idea would be to use as a badge with the right size displaying inside of the icon. The other way explicitly saying the recommended size in text below the icon. The icon would change with which ever piece of clothing the user is checking the size for. 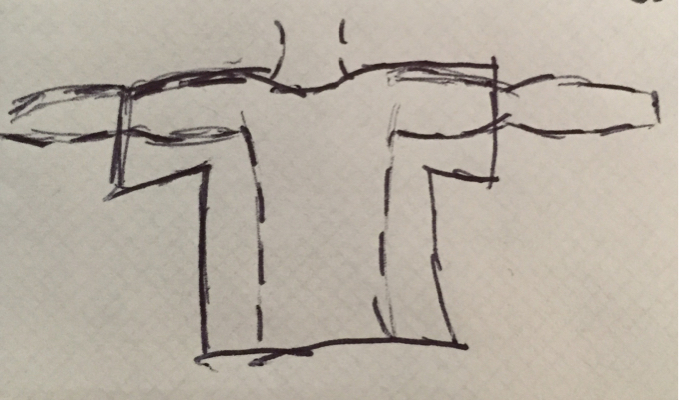 This could be placed on top of the piece of clothing image the user is looking at. 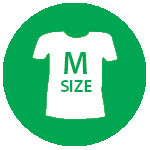 The indicator would display the suggested size inside of the of the clothing icon. You can further clarify the image with using a tooltip. Or you could even be more direct with the size indication by writing it out. The idea being that you could share some kind of figure with some sort of article of clothing fitting over top of it. Not the answer you're looking for? Browse other questions tagged website-design information-graphics symbolism or ask your own question. What is a good size for category box on web site? What is the best icon to represent the shopping cart for an e-commerce store? Icon to represent product menu tree?